The Asian American Bar Association of the Greater Bay Area (AABA) recently held a celebration of California’s 100 Asian Pacific Islander (API) judges, a significant milestone in our history. In 1976, when we began a concerted campaign to appoint API and other minority judges to the California Bench, there were only 15 API sitting Judges. With the election then of a new, liberal governor, Jerry Brown, we saw an opportunity to get appointments to diversify our Judiciary. In Northern California at that time, there were no API judges in Alameda, Contra Costa, Marin, or San Mateo counties, one in Santa Clara, one in Sacramento, and two in San Francisco. One of those two in San Francisco was Judge Harry Low, who has continued to support AABA to this day! But first we had to find qualified candidates, no easy task since there was not a large pool of API attorneys at that time. 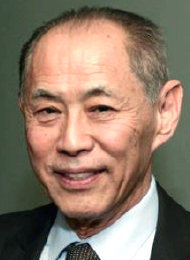 One, however, was Ken Kawaichi, who became the first API judge in Alameda County. Another was Lillian Sing, who became the first API woman judge in Northern California. And as the pool of qualified candidates grew, we obtained many more appointments over the years leading to last month’s celebration. Today, we have approximately 130 API sitting judges in California, which is an incredible achievement for our community. The impact of these diverse appointments cannot be overstated. When I first appeared in courts in 1972, I was met with hostility, implicit bias, and outright racism. One judge refused to appoint an interpreter for my Cantonese client, asking “Well, why don’t you interpret for him?” — to which I explained that I was Japanese and that my client was Chinese, and the two ethnic groups came from different countries and had different languages. Reluctantly, and with great sarcasm, he accepted the explanation and appointed an interpreter. Subtle racism was also manifested in the supercilious dismissal of arguments, condescension towards minority attorneys, and outright favoritism to non-API attorneys and their clients. But I’ve learned that having one person of color or one from a marginalized group on the bench can modify the behavior of the entire court. After Ken was appointed, the overt and subtle discrimination seemed to subside. And the appointment of Judge Marilyn Hall Patel, the first woman jurist on the U.S. District Court in Northern California, changed the culture of that bench. But modifying the overt or covert behavior of judges toward attorneys of color and their clients is not the only reason to diversify the bench. We all benefit when the judiciary truly reflects the communities that it serves. The legal system engenders respect when justice is dispensed by qualified jurists who look like us and our clients. Decisions are made with greater sensitivity by jurists who have empathy through their own experiences, an understanding of historical perspectives, and an appreciation of how their decisions affect different communities. It may be no coincidence that most of the decisions made against President Trump’s travel ban and separation of immigrants at the border were made by API judges in Hawaii, Maryland, San Francisco, Los Angeles, and San Diego. So why have the ranks of API jurists increased dramatically in the last 40 years? Obviously, our pool of candidates has increased as dramatically and those willing to take the risk to apply have increased. When we see API judges on the bench, it encourages others to believe they can also be appointed. We were fortunate to have leaders such as Governors Jerry Brown and Pat Brown, and judicial appointments secretaries such as now Justice Anthony Kline, Sharon Majors Lewis, and Joshua Groban, who are committed to diversity. We know that the newly appointed appointments secretary, former state appellate court Justice Martin Jenkins, is also committed to diversity and will walk that same path. And significantly, we have witnessed the growth and assertiveness of the API bar associations who are actively recruiting, lobbying and mentoring judicial candidates. In fact, one of the central reasons we started AABA was to gain representation in the courts, the bar, and in the legal community. AABA has made a powerful and successful effort to accomplish this goal. But there is much to be done. We need to continue pushing for a diverse judiciary from all communities of color and increasing representation. Also, when judges are being challenged for reelection because of their appearance, or their “foreign”-sounding names, or because of the political affiliation of the governor who appointed them, rather than for their competence and qualifications, we need to stand up and offer strong support. The diversification of the bench is too important and took too much effort to go backwards now.